Cracking due to thermal expansion and contraction of brickwork is a common problem in buildings originally constructed with no movement joints. Falcon form movement joints at strategic locations to control the effects of expansion and contraction whilst providing an aesthetically pleasing appearance. Joints are neatly finished with waterproof polysulphide sealants and are often concealed behind downpipes to reduce the visual impact. 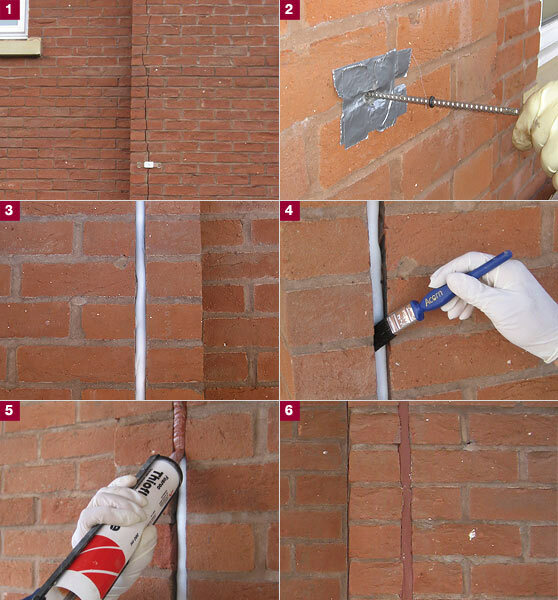 Resin bonded or mechanical cavity ties are first installed on either side of the proposed joint at regular intervals in order to ensure that adequate lateral restraint of the brickwork is maintained. Temporary guide strips are secured to the wall to ensure that a true vertical line is achieved while cutting the joint. The joint is then formed using a diamond disc cutter with a vacuum fitting to reduce the dust generated. The brickwork is cut to the full depth of the external skin and a suitable joint filler such as expanded polyethylene foam is then inserted. A bond-breaking strip is placed over the joint filler, and the external face of the joint is finally sealed using an external grade polysulphide sealant of the appropriate composition for the width of joint and colour for the surrounding brickwork/pointing.